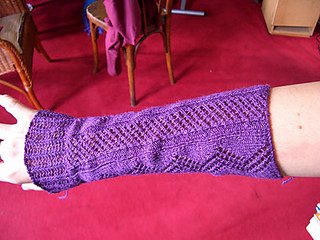 Click on “Lace Muffatees” to download the pattern in pdf format. Pattern is available in both English and German. The pattern calls for 40gm of yarn.